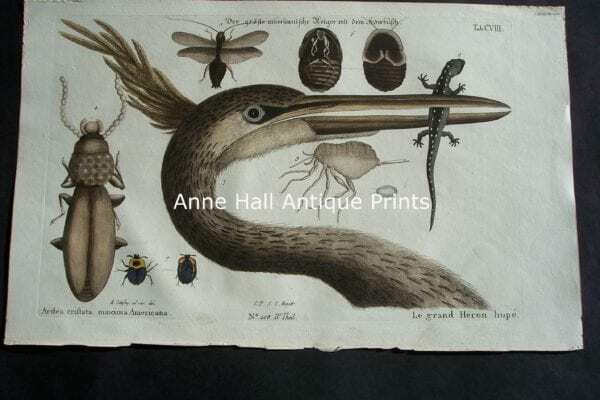 Mark Catesby Birds! 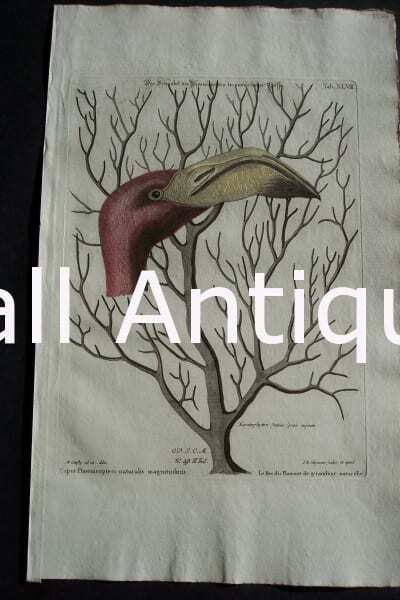 Antique Hand Colored Copper Plate Engravings. Mark Catesby Birds. 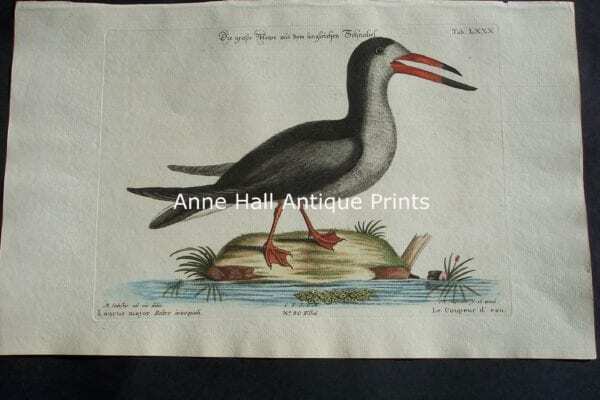 Here are Mark Catesby water birds. 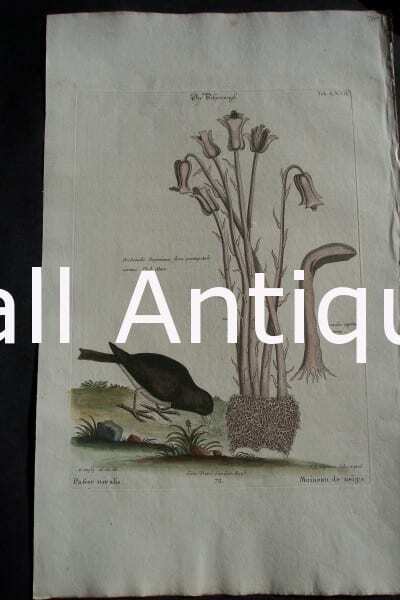 This famous work is on North American species of birds and the foliage they were found with. Too poor to have a separate illustration for the bird from the foliage, is now classic. Catesby was in the Carolinas, Virginia, Florida and the Bahamas in the 1730’s. The Seligmann Edition was published from 1771-1776 in Amsterdam. Stunning water colored copper plate engravings on rag. 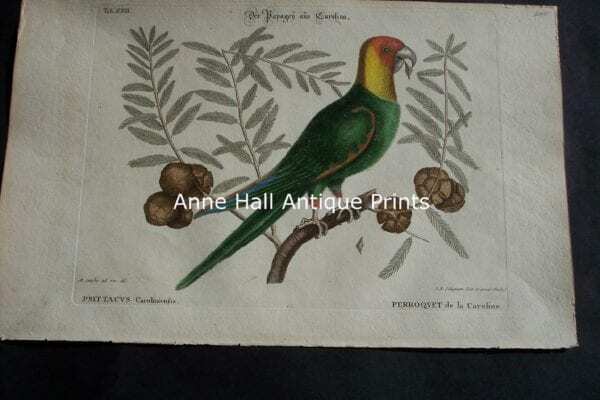 Each old print measures about 10 1/4 x 17″ though there are a few that are 9 1/2 x 15 1/2″ See my Carolina Parakeet! 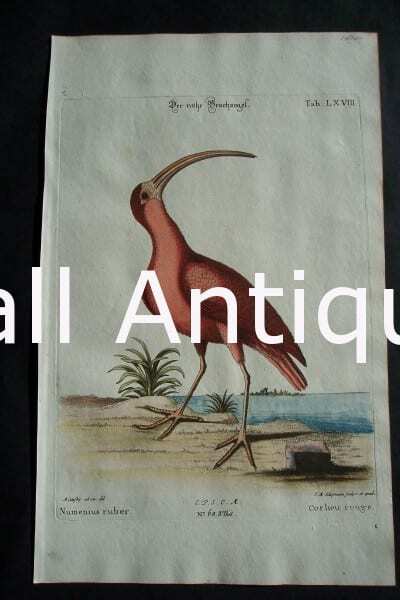 Mark Catesby Corlieu Rouge LXVIII Scarlet Ibis $1600. 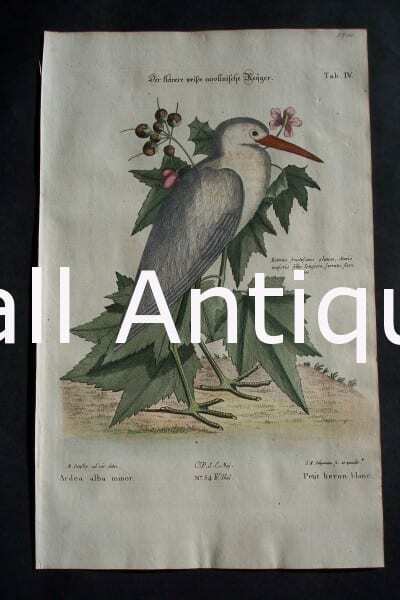 Mark Catesby White Heron 54. Ardea alba minor. $1600. 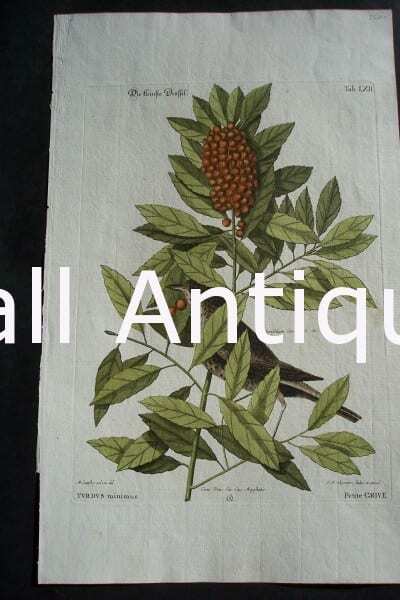 Mark Catesby Bittern 56 $900. 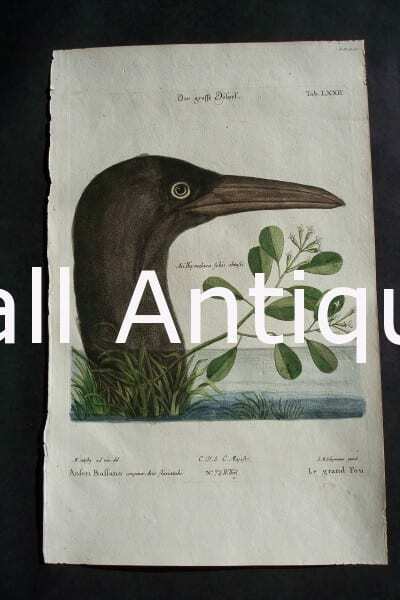 Mark Catesby Booby 72 $900. Mark Catesby Pelican 62. Pelicanus Americanus! $900. 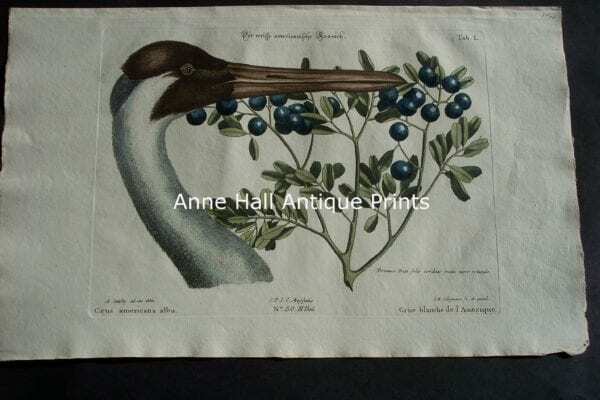 Mark Catesby Duck Plate 100. Americana Variegata. $1000. Mark Catesby Hirundo Marina 76 $500. Mark Catesby Sand Hill Crane $1200. 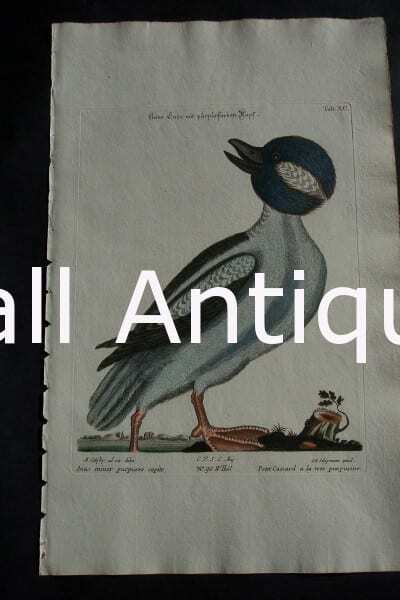 Mark Catesby Larus Major 78 $650. 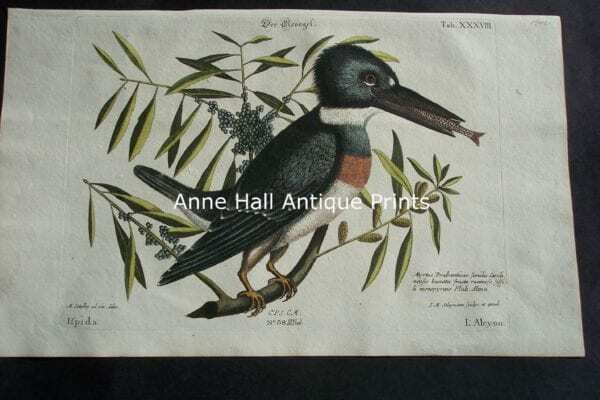 Mark Catesby Belted Kingfisher 38 $1600. 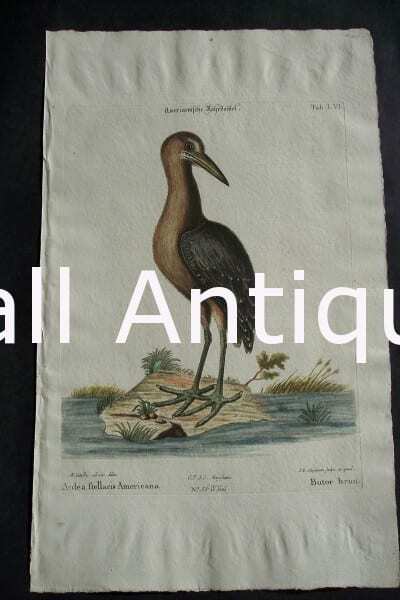 Mark Catesby Heron 108 Ardea Cristada Maxiima $1100. Mark Catesby Laurus Major Skimmer 80 $750. Mark Catesby Carolina Parakeet Plate 22. $1600. 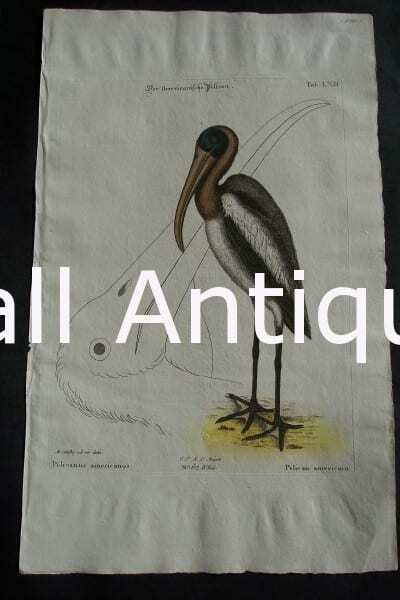 Mark Catesby Flamingo 48 $1600. 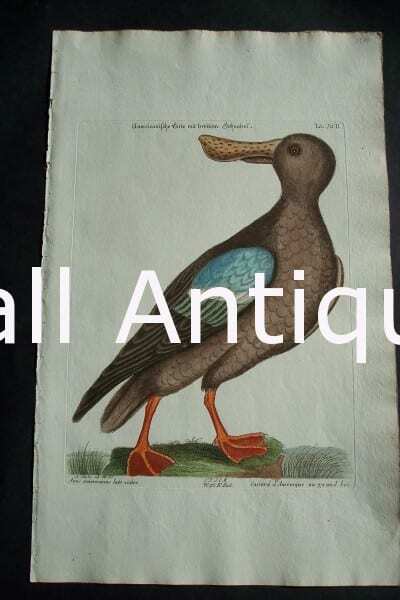 Robin Mark Catesby 94 $1000. 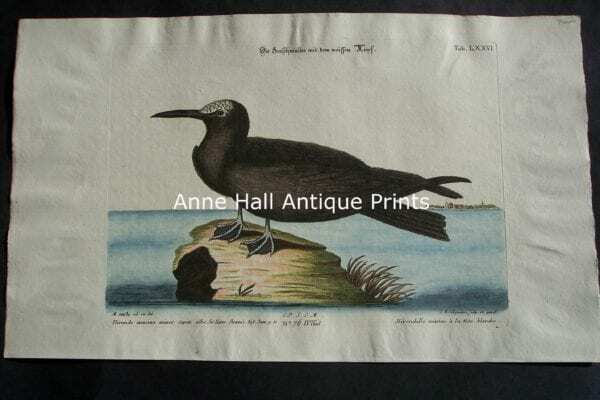 Mark Catesby Turdus Minimus 94 $750. 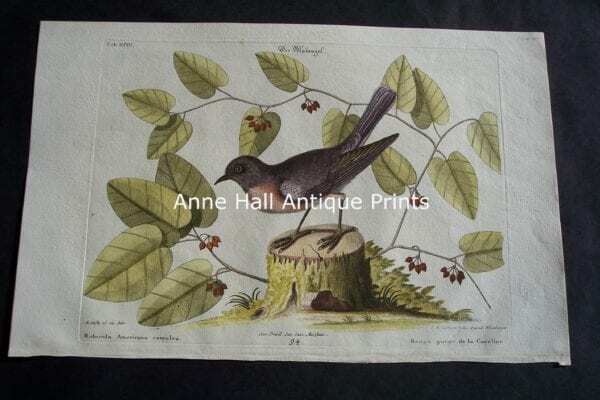 Mark Catesby Junco LXXII $450. 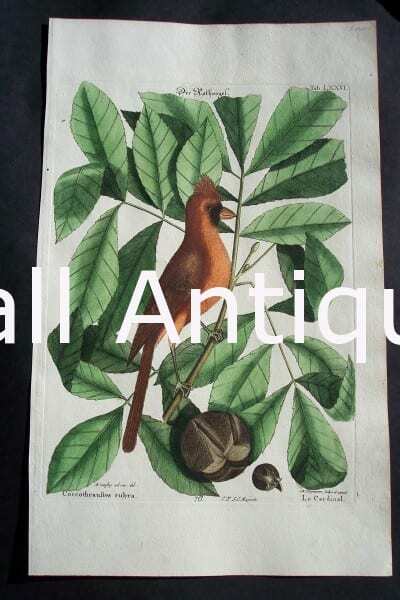 Mark Catesby Male Cardinal LXXVI $1400. 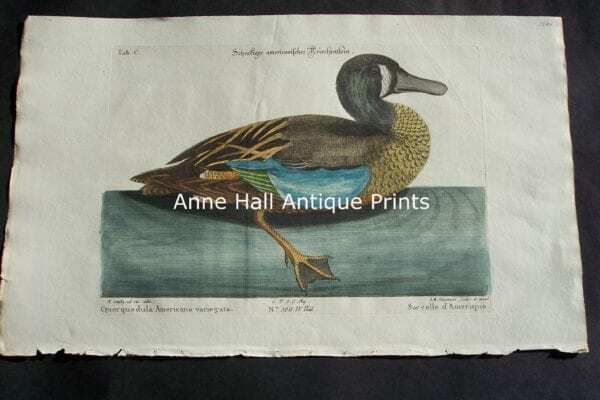 Mark Catesby Duck Plate 92 $1200. 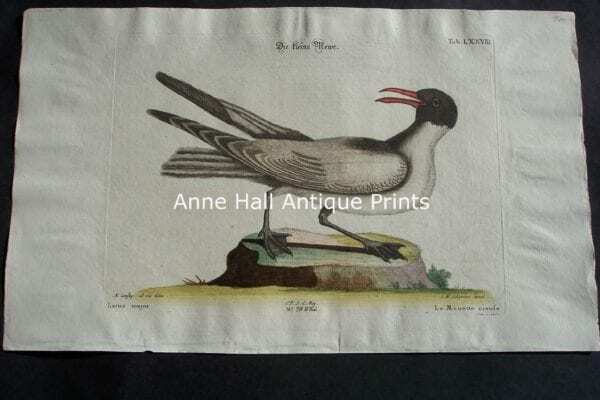 Mark Catesby Anas Minor Purpuree Capite 90 $1200. 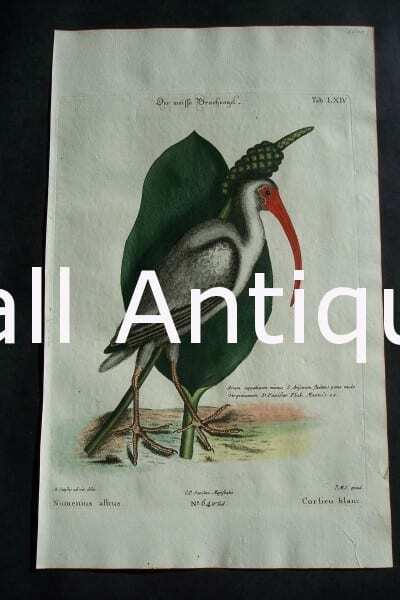 A laborious craft of all those involved in producing something like theseMark Catesby Birds. First Catesby had to travel, find and identify the species. Second the illustrations had to be meticulously drawn, with the best accuracy. LATER The image would be transferred onto a copper plate and engraved with burins. The paper was hard to acquire, and the engraver would have to re engrave another plate after just 300 strikes. The water colorists would die at young ages, due to licking tips of their paint brushes. Yet these old prints still exist in super fine condition and exemplary condition. That is mostly due to the quality of the rag paper. Paper was made of rag right up through the turn of the 20th Century. Coming from linen, flax, etc, NOT TREES, there was no acid in the paper. Very expensive to acquire, inconsistent, etc.